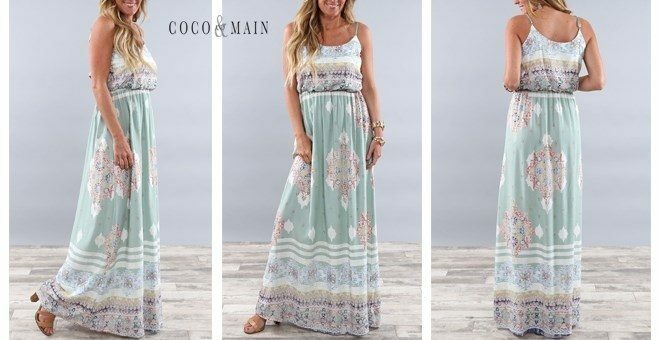 Boho Summer Dress Only $27.99! Down From Up To $72.99! You are here: Home / Great Deals / Boho Summer Dress Only $27.99! Down From Up To $72.99! Jane has this Boho Summer Dress on sale for $27.99 (Reg. $72.99) through 4/2! Plus shipping is $4.99 for the first item and $2.99 for each additional item! This gorgeous boho summer dress is perfect to wear for a casual day out or pair with a denim jacket for those summer nights. We love the pattern and it comes with adjustable straps and an elastic waist.